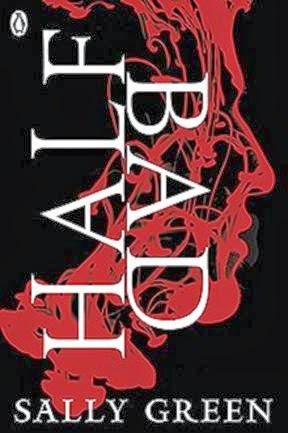 I was recently sent Sally Green's debut novel, Half Bad from Mumsnet to read. I didn't have to write a review but I enjoyed the book, so I felt it only right that I share my thoughts on it with all you lovely readers. This is the first in a trilogy of books. The story follows Nathan, a witch. However he is not just any witch, his now dead mother was a white witch and his father is a black witch, making him a half breed, or half code as he is later branded. The trouble is noone knows which side he will end up on, the story shows his fight for survival in this hidden community. You can' read, can't write, but you heal fast even for a witch. You hate white witches but love Annalise who is one. All you've got to do is escape and find Mercury, the black witch who eats boys. And do that before your seventeenth birthday. The beginning of the story finds Nathan locked in a cage and being what can only be seen as tortured and abused by a woman, who at the point we know nothing about. We are then taken back in time and shown Nathan's past, how he grew up, just what he did to deserve the life he is now living. This boy was treated with disdain from quite a young age because of who is father is, not only the society of witches but some of his family are presuming that he will end up like is muderous father and therefore give him no respect. The book is very dark at times and I felt huge sadness and pity for this poor boy, who I could see didn't deserve to be dealt with in such a poor way. It was hard watching him being pushed/pulled further and further away from his family. What I loved was how much of a fighter Nathan was, he manages to persevere even through the toughest times and he is still able to love even though he hasn't felt a lot of that from others. I feel he is the underdog, the unlikely hero in the story as he may be flawed but he is also extremely brave. Sally has managed to write a fast paced,emotionally charged book which has you gripped from the first page. It is straight to the point and somewhat gritty at times but I like the writing style. The short chapters make it easy to read and kept it flowing. My only real complaint is that I have to wait so long for the next instalment. I've just given this book to my eldest daughter to read and she is already racing her way through it. If you liked books like Harry Potter and The Hunger Games then I highly recommend that you put this on you reading list too.